Amazing Kids! Perrific 2011 Oscar Picks Contest News! Amazing Kids! and Perry’s Previews are challenging kids and teens worldwide, ages 6-17, to predict the Oscar® winner for Best Animated Feature of 2010 for the upcoming 83rd Academy Awards® and make their voice heard. Contestants are asked to name which of the top 3 Oscar®-nominated feature animation films, How to Train Your Dragon, Toy Story 3, and The Illusionist, they predict will win at the Academy Awards ceremony on February 27, 2011. Contestants have the option of submitting the reason for their pick in 50 words or less on the contest site. Prizes will include DVDs of the best animated feature film of 2010 Oscar® nominees and winner, and will be awarded to contest winners in a random drawing from those entries which correctly predict the Oscar winner. In addition, one grand prize winning “Best Essay” entry will receive copies of all three DVDs. DreamWorks Animation (dreamworksanimation.com) and Disney Pixar are confirmed prize sponsors and are donating 20 DVDs of their nominated films “How to Train Your Dragon” (DreamWorks) and “Toy Story 3” (Disney Pixar) for contest prizes. The winners’ names will be featured on the Amazing Kids! website, amazing-kids.org with a following of nearly 1 million yearly visitors, and in the Amazing Kids! Magazine (mag.amazing-kids.org), as well as on Perry’s Previews (Perryspreviews.com). The winners will also be announced by the contest’s media sponsors, Raising CEO Kids (RaisingCEOKids.com), an organization dedicated to creating excellent opportunities for raising business minded kids, and Kid Scoop, a syndicated weekly kids’ educational activities column appearing in over 300 newspapers across the U.S. (kidscoop.com). The deadline to submit entries for the “Amazing Kids!’ Perrific Oscar® Picks!” is February 26, 2011, one day prior to the 83rd Academy Awards. More information and a link to the contest rules page and entry form can be found on the main “Contests” page on the Amazing Kids! website: http://amazing-kids.org/contests. Founded in 1998 by Amazing Kids! President Alyse Rome, Amazing Kids! is a childrens educational non-profit organization and award-winning website dedicated to inspiring excellence in children, while helping them to realize their amazing potential and launch their dreams. A recent recipient of the American Library Association’s Top 24 “Great Websites for Kids” for 2010, the Amazing Kids! website supports kids’ achievement, creativity, critical thinking, and literacy through hosting ongoing creative contests and publishing the award-winning, kid-created Amazing Kids! Online Magazine. For the past 13 years, Amazing Kids!’ Contests, have become widely-known and respected as one of the best online resources for kids contests (and appear in the top 2 listings for “kids contests” in Google rankings). Amazing Kids!’ Contests continue to receive the support of a “Who’s Who” of highly respected national and international corporations who act as contest sponsors. Past Amazing Kids! Contest sponsors have included such well-respected companies like DreamWorks Animation, Nintendo America, Carnival Cruises, Kentucky Fried Chicken, Random House and Ty, Inc.
To learn more about the work Amazing Kids! is doing to support children’s achievement, visit the Amazing Kids! website (http://amazing-kids.org). Supporters are also encouraged to connect with Amazing Kids! on the official Amazing Kids! 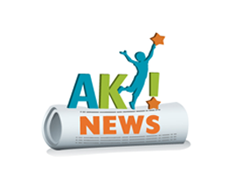 Facebook page and follow Amazing Kids!’ Twitter feeds (@amazingkids). Perry’s Previews (perryspreviews.com) is an online resource for kids, teens, parents, educators, and movie lovers of all ages to read and comment on family-friendly movie reviews from a kid’s perspective. To date, over 50 reviews are listed on a multi-media platform, including TV, radio, print, and web. In addition, Perry’s Previews features Perry’s art and animation videos. Reader participation is encouraged through and via Perry’s website, Facebook fan page and Perry’s twitter feed @PerrysPreviews. About Perry Chen – Gifted with a keen eye from a young age, Perry began writing movie reviews for his website “Perry’s Previews” at age 8. Characterized by his starfish rating system, his “Perrific™” favorite movies, and his family-friendly movie choices, Perry is often regarded as one of the great up-and-coming movie critics. The youngest honoree at the recent San Diego Press Club Excellence in Journalism Awards, Perry also serves as the resident movie critic for the Amazing Kids! Magazine (mag.amazing-kids.org), film critic and blogger on Animation World Network, a leading professional animation industry publication; a movie panelist for the San Diego Union Tribune with over a million weekly readers; and the San Diego Entertainer Magazine’s youngest columnist and entertainment critic. ACADEMY AWARD(S)® and OSCAR(S)® are the registered trademarks and service marks of the Academy of Motion Picture Arts and Sciences. Amazing Kids! ® is the registered trademark of the Amazing Kids! corporation. Perry’s Previews is the trademark of Perry’s Previews. DreamWorks®, Disney® and Pixar® are registered trademarks of their respective organizations. All rights reserved.